"Fortunate Son" is part of Mitchell Anderson's ongoing series of works that continues his explorations of the capabilities and limits of the narrative information and emotion that found objects and images hold. 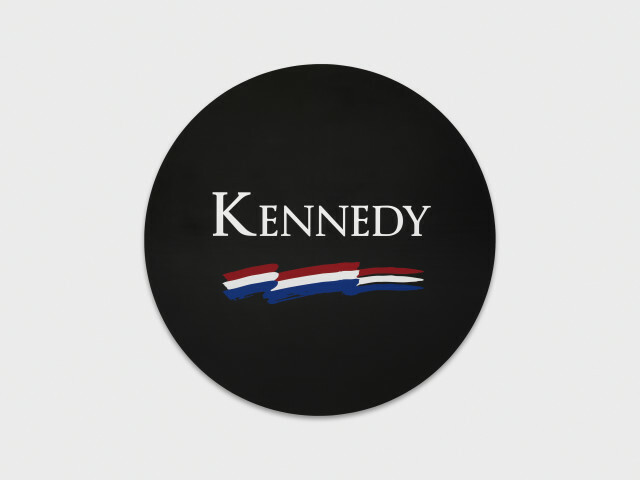 In this series Anderson dissects the seeming downward fall of neo-liberalism and equality in the United States using the Kennedy Family as a double foil. 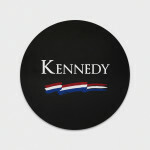 These large scale paintings reinterpret Kennedy campaign advertising buttons over an eight decade period. Executed as hard edge abstraction akin to Ellsworth Kelly and Robert Indiana, work that emerged to international prominence alongside the Kennedys in the early 1960s, the paintings become blown up echoes of the same with only changes of style and font over time. 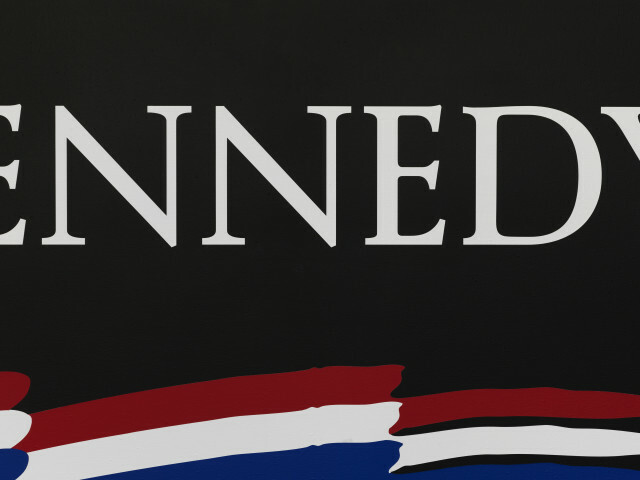 Taking their name from the Creedence Clearwater Revival song, "Fortunate Son," which became an anti-establishment anthem at the end of the 1960s, the pieces also point to the dynastic inequalities that exist and have always existed in life. In this way their execution as gigantic near pop art paintings echoes their existence as billboards for the privilege of a chosen few.